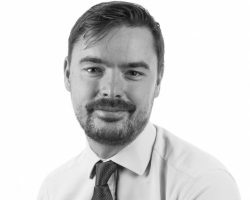 Tom joined our West Malling office in 2016 as a Principal Planner. Tom achieved a BSc in Social Policy and Government from the London School of Economics in 2003 and an MPhil in Town Planning from University College London in 2008. Tom began his career at Arun District Council as an assistant policy planner before spending eight years at Turnberry Consulting, a niche property and planning practice based in central London gaining a broad range of experience across the country including several new towns in Scotland, a number of high profile heritage schemes and a number of education and commercial schemes. For the last two years Tom has been employed at Medway Council initially as a Senior Policy Planner and more recently as Major Projects Planning Manager. In this role Tom has been responsible for overseeing all strategic planning applications dealt with by the authority as well as dealing with his own case load including acting as the Council’s planning witness at a recent public inquiry for a large residential scheme. Tom also has experience of promoting land through the development plan process, representing clients at several Local Plan examinations, which is complimented by his recent experience of helping prepare the emerging Medway Local Plan.